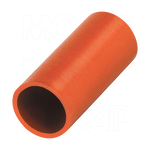 MOCAP Silicone Rubber Caps and Plugs are the quality high performance answer to your masking needs. Silicone caps and plugs are stocked in many sizes to fit your specific application. 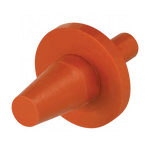 Flexible silicone rubber material allows these masking caps and plugs to seal round and odd shape items to mask against your painting, powder coating or E-coating process. 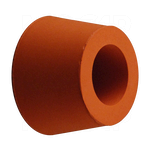 Special high temperature resistant silicone material withstands up to 600°F (316°C). 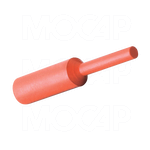 Silicone rubber caps and plugs are ideal for powder coating, E-coating and chrome plating operations. 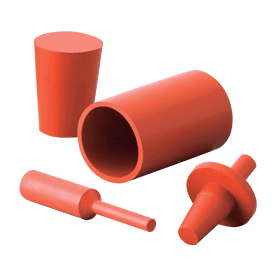 Silicone rubber caps and plugs are great for threaded and non-threaded masking applications and are reusable. Need Lower Cost Masking Products Good to 300°F (149°C)?... 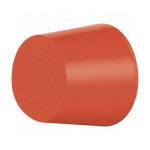 Consider MOCAP's EPDM Rubber Masking Products or High Temperature Vinyl Masking Products.